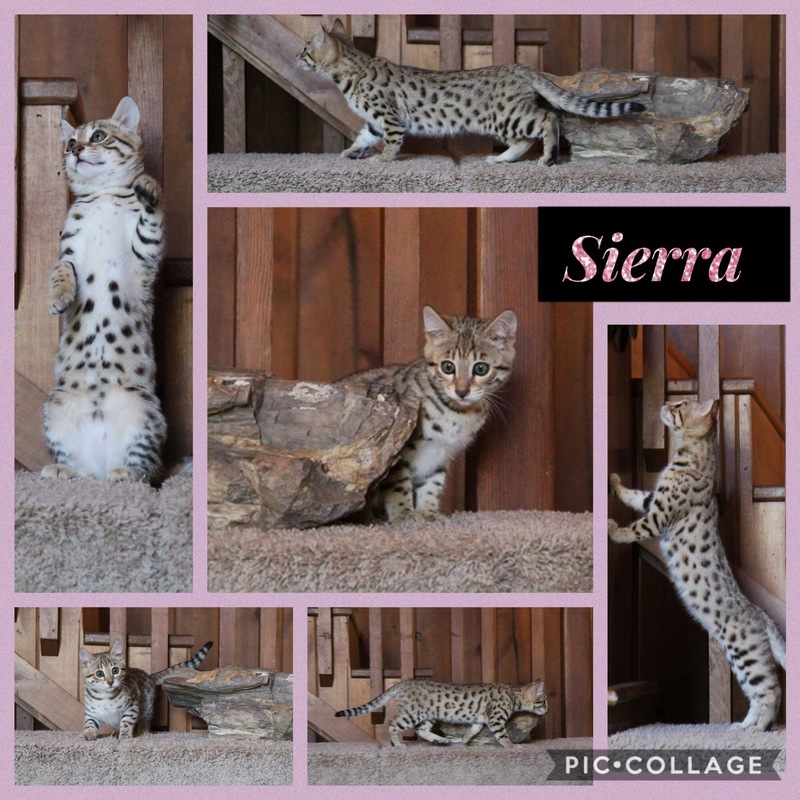 Sierra came to me from Quality Bengals Kittens. Thank you so much Jon and Robyn for entrusting me with your girl. 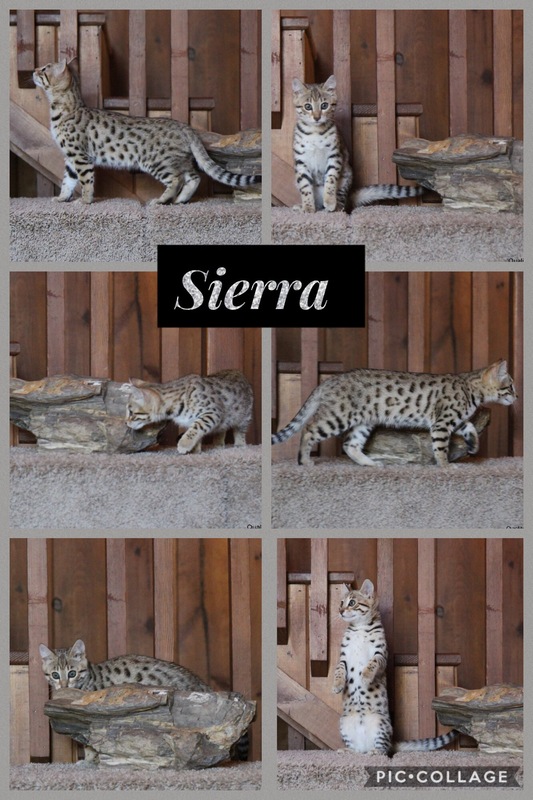 I named Sierra after the Sierra Nevada Mountains because the cattery she came from is located close to those mountains. Sierra is very curious and spunky. She loves to play and climb but she still enjoys sitting on my lap when she chooses to. Sierra is a wonderful attentive mother. Sierra has nice small ears, large round nocturnal eyes, and a great horizontal pattern flow.